Woody, Buzz Lightyear, and Jessie having a moment. It’s been a hot second since we last caught up with Andy’s sentient toys, who over the years have become just as much a part of nearly everyone else’s childhoods during their wild adventures. You might not have been thinking about them recently, however—but guess what? Toy Story 4 is right around the corner. You ready? 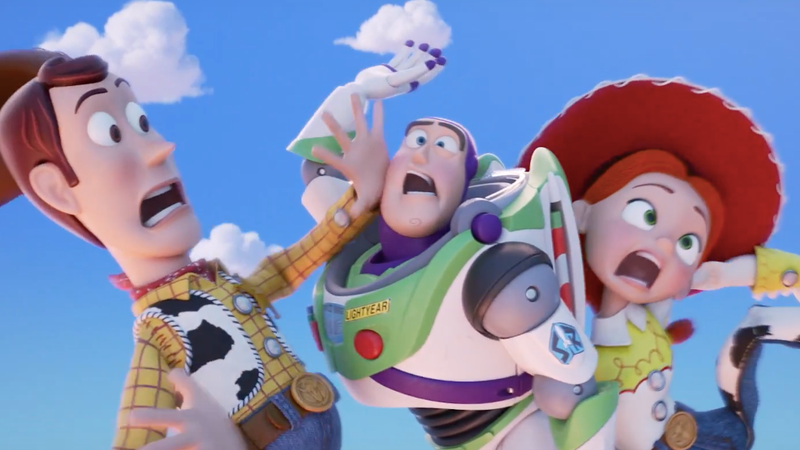 Surprising everyone, Disney stealthily dropped the first teaser trailer for Toy Story’s first installment this morning and cryptic as it is, it’s also a sign of things to come. The entire gang’s back, but this time around, they’re joined by a... let’s say “homemade” newcomer who’s insistent that they are not a toy, but not in the way you think.